If you think Las Vegas is only about Strip entertainment, dining and gaming, think again! Whether you’re a seasoned nature and wilderness expert or simply looking to explore the beauty in your own “backyard,” the valley offers an expansive playground of trails, lakes, mountains and other recreational attractions for the entire family. 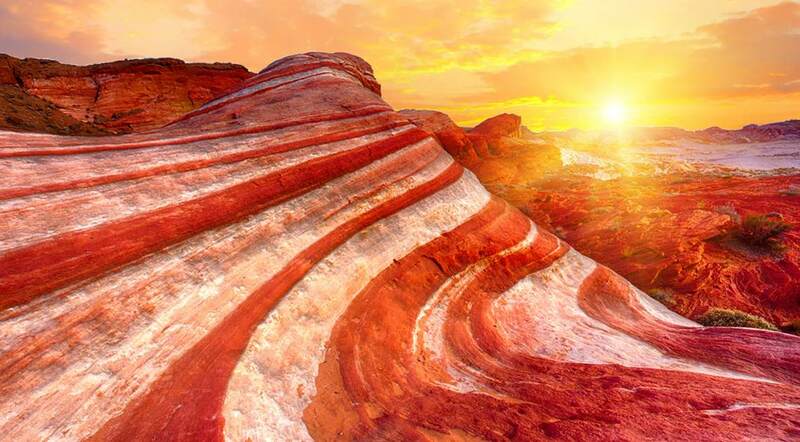 Plus, Las Vegas is just a few hours’ drive away from no fewer than seven national parks. So for a change of pace, ditch the city for some adventure! Pack sunscreen, water and energy snacks and embrace the ride because we have our top picks for outdoor attractions and activities near you. 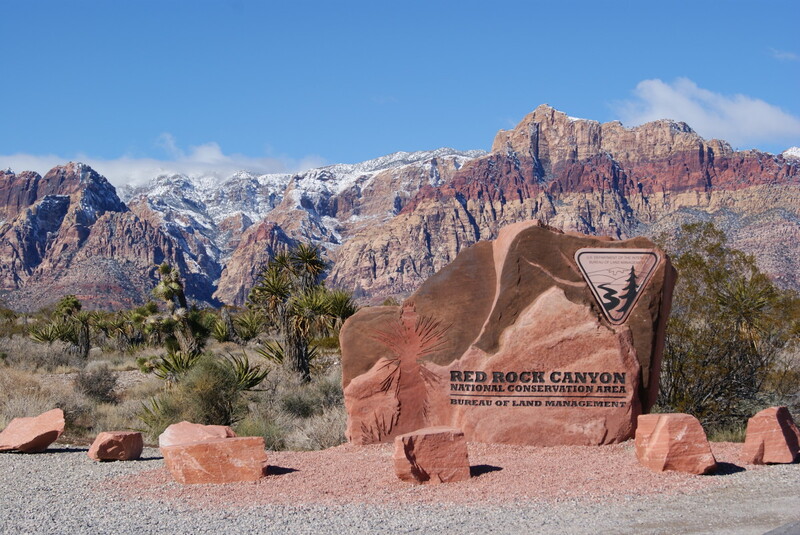 Red Rock Canyon National Conservation Area: Red Rock Canyon National Conservation Area is just a few miles outside of Las Vegas and frames the valley’s western edge. And the dramatic red rocks that give the area its name can be seen from nearly any point of the valley. Encompassing nearly 200 acres of the Mojave Desert, Red Rock is complete more than two dozen hikes and trails, climbing routes for beginners and advanced climbers, a 13-mile one-way scenic drive for car passengers and cyclists, a campground and a diverse mix of plants and animals. Check out the Visitor Center’s indoor and outdoor exhibits as well as a book and gift shop. Sloan Canyon National Conservation Area: Spanning nearly 50,000 square feet, Sloan Canyon National Conservation Area is truly a hidden gem on the southeast edge of the Las Vegas valley. The cornerstone attraction of the area is the Sloan Canyon Petroglyph Site, showcasing over 1,500 ancient petroglyphs as part of 300 rock panels. Black Mountain is another popular destination within Sloan Canyon, featuring acclaimed walking trailheads such as McCullough Hills and Anthem East, two high volume running spots for valley residents. The trailheads feature many conveniences, including paved parking, bathrooms, drinking fountains and picnic tables. Valley of Fire State Park: Recently named Nevada’s Best State Park by VIA, a AAA magazine, Valley of Fire sits about an hour northeast of Las Vegas, but truly, it’s a world away from the glitz of The Strip The park features 40,000 acres of red rock that’s earned a reputation for being an unworldly must-see for outdoor junkies, thanks to its unique and picturesque crooks, arches and alcoves. If you’re new to the park, make sure to stop by the Visitor Center, which provides informative displays about the park’s ecology, history and geology as well as friendly rangers who can answer any questions. For beginners, try the Elephant Rock trail or Petroglyph Canyon, which are both short and ideal for all ages. Lake Mead: Lake Mead National Recreation Area, home to Lake Mead and the national historic landmark, Hoover Dam, is less than an hour from Las Vegas and touted as one of America’s most diverse national recreational areas. 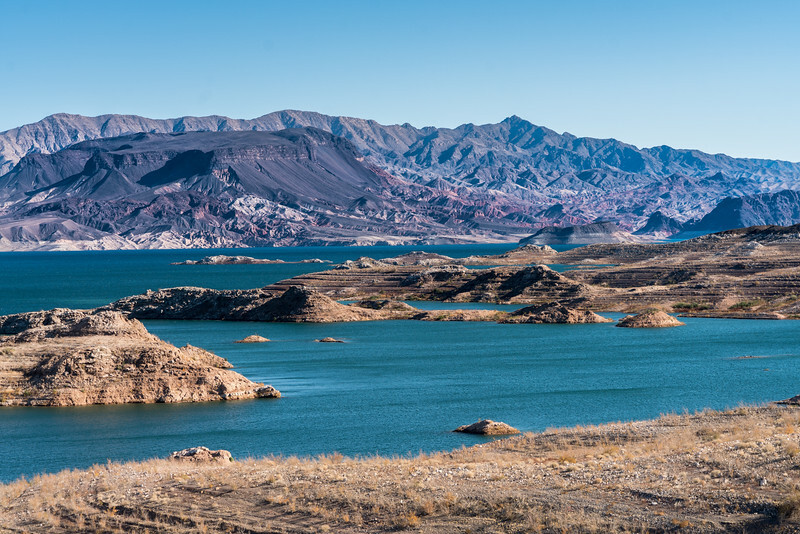 Lake Mead offers some of the country’s best sports fishing, boating, water skiing, kayaking and canoeing. There are also plenty of shaded options for picnics featuring a rugged setting and nearby picnic tables, fire grills and restrooms for your convenience. Make time to visit historic Hoover Dam, which stands more than 700 feet above the Colorado River and features a 1,900-foot-long bridge. It’s a world wonder not to be missed. Zion National Park: If you’ve got the time, a trip to Zion National Park located outside of Springdale, Utah and a scenic three-hour drive from Las Vegas will knock your socks off. 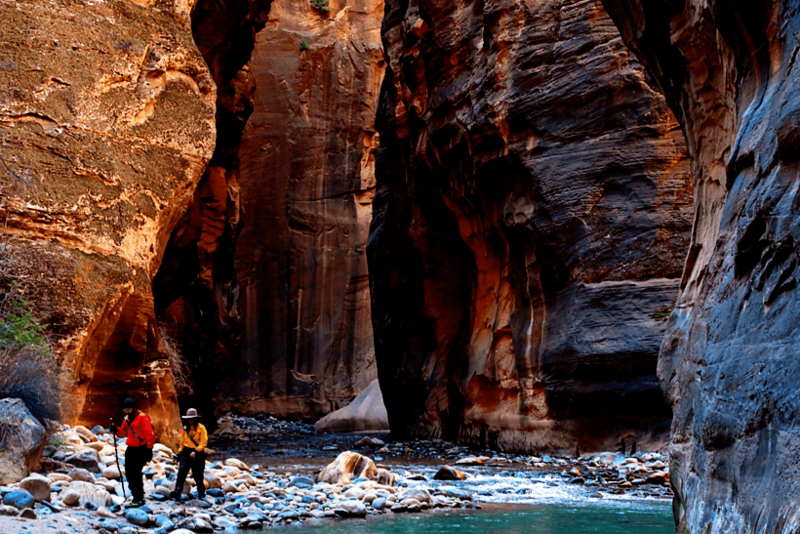 The drive alone is worth the trip, because you’ll witness beautiful canyons carved out by the Virgin River. Leave your vehicle at the park’s entrance and take a ride on the free shuttle provided by National Park Service. Consider it a free guided tour through the park to top points of interest and fan-favorite hiking trails. Make sure your camera devices are fully charged (waterproof would be ideal) because once inside the park, you’ll be surrounded by a jaw-dropping and colorful landscapes of pink, red and cream sandstone cliffs, lush greenery and seasonal waterfalls and rivers. And if you can’t manage to pull yourself away from the park, there’s several lodging options, including hotels and campgrounds just outside the park’s entrance. Bryce Canyon National Park: If you’re willing to tack on another hour to your road trip, Bryce Canyon National Park is worth every minute. Bryce Canyon is home to the world’s largest concentration of Hoodoos, irregular columns of rock and a series of natural amphitheaters or bowls carved into the edge of a high plateau. There are four main viewpoints all found within the first few miles of the park’s entrance: Bryce Point, Inspiration Point, Sunset Point and Sunrise Point.